Young Escapee Trophy Guide / Achievement Guide - Escape the bedroom within 60 seconds during Sherry’s segment. This can only be done in Claire’s campaign! Make a manual save before the electric parts puzzle in Chief Iron’s "Private Collection Room” (just after returning from the Clocktower). When Sherry’s gameplay sequence starts: Turn right, get the stuffed animal, examine its back to find a block. Place the block in the corner of the room to start a puzzle. Now comes the tricky part! The starting arrangement of the puzzle blocks is randomized for every player. However, what the final arrangement needs to look like will always be the same. Refer to the final combination in the video. Now the good news! You can take your time to figure out how to solve your puzzle in the fewest move. The goal is simply to replicate the finished block positions as shown in the video. Write down which starting block you moved where. This will likely take you longer than 60 seconds on first try and thus void the trophy, but there’s a workaround: Quit to the main menu, click Continue. 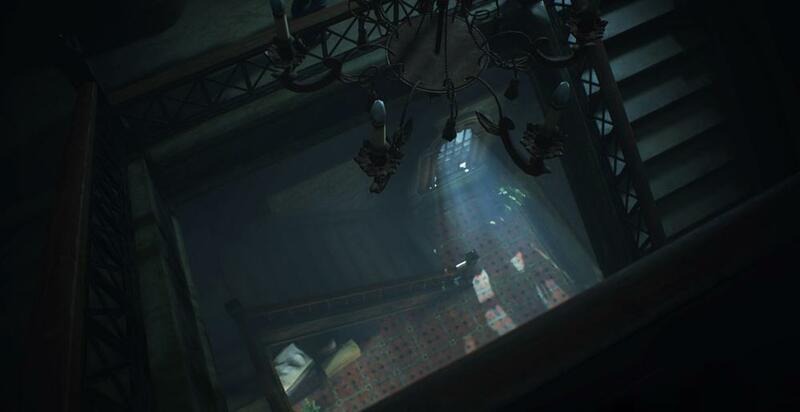 Now you respawn in Sherry’s room and the timer resets to zero but the Puzzle Solution is still the same! When you do the continue "trick” it doesn’t randomize the puzzle so your previous solution will still work. Redo it as quickly as possible and as often as possible until you memorized the solution that applies to you. The puzzle rewards you with scissors that can be used to cut a hole in the wall and escape, at which time the trophy is supposed to pop. If no trophy pops it means took more than 60 seconds. So just quit to main menu again and continue, repeat until you can pull off the puzzle fast enough and earned the trophy.